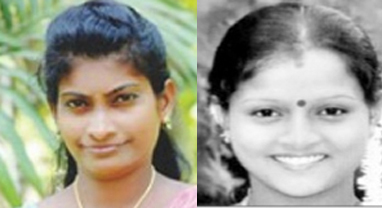 Mangaluru, Feb 6, 2017: Two young women have been reported missing in separate cases in Mangaluru and Moodbidri. Missing complaints have been lodged by their respective families. A young woman identified as Rekha (26), a resident of Padil has been reported missing since January 23. It is said she had left home that day stating she would be visiting the Home Guards Office at Mary Hill to discuss matters pertaining to the reimbursement of her medical bills. However she never returned home. It has been gathered that she had recently underwent treatment at a hospital owing to illness. Kavoor police are investigating the case. In another case, a woman named Shanthipriya D’Souza (28) has been missing from Ranger Kodi in Puchhamogaru village near Moodbidri since January 26. Her brother Arun D’Souza has lodged a missing complaint. The woman had gone missing when Arun had been to a shop that day. The woman is dark complexioned, is 5.5 feet tall and has long hair. She knows Kannada, Tulu and Konkani. Let the police investigate the case and bring them back safe .